It cannot be easy running your own restaurant as a solo venture. Many chefs do it, of course, and I’m always amazed at their ability to prepare multi-course meals for groups of diners, each eating at their own pace, ordering different drinks and often asking endless questions about the dishes served. Such were my thoughts when I visited Narukami, a chic Japanese restaurant serving innovative cuisine in a minimalist setting. 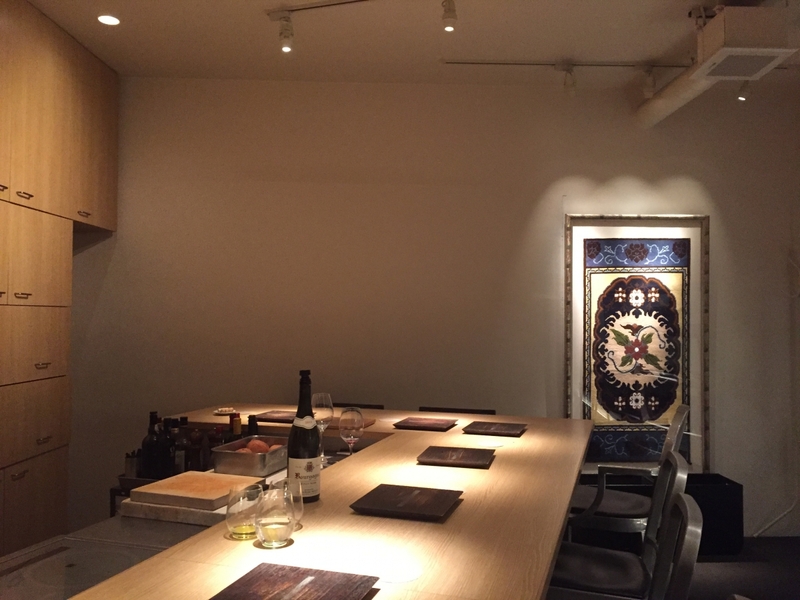 Housed in a concrete complex in the heart of Tokyo’s fashionable Aoyama district, Narukami is a small, one-room affair with a counter seating just 8 to 10 people on the first floor of the AOYAMA346 building. The decor of the narrow rectangular space is sparse, like a modern-day interpretation of the traditional Japanese teahouse, where a single wild flower in a simple earthen vase stands out amid the neutral colors of the walls and washi-paper doors. The simple decor makes for a peaceful oasis. 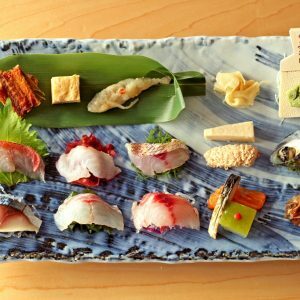 The calm ambience is the antithesis of rowdier Tokyo restaurants, including some fast-paced sushi bars and izakaya where chefs greet guests with a chorus of “irrashaimase” or “welcome,” crack jokes and generally act as if they’ve known you for decades. Narukami’s proprietor-chef Masakazu Narukami and the woman who helps serve guests are friendly in a polite but restrained way. 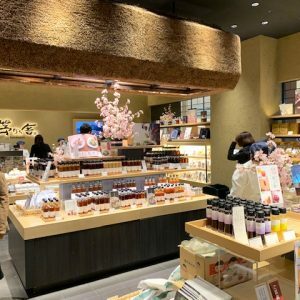 When we arrived on a recent Monday evening, the tall and somewhat stern-looking Narukami was behind the counter focusing intensely on the task at hand. I marveled at the starkness of the room, which gave it the kind of urban chic atmosphere beloved by so many Japanese designers, architects and the “beautiful people” who surround them. In the evenings there is just one “omakase” or tasting menu for Y10,000, a steal considering the artistry of the cuisine and quality of the ingredients. Our meal began with a watermelon gazpacho, a perfect start after a sizzling hot day in the city. 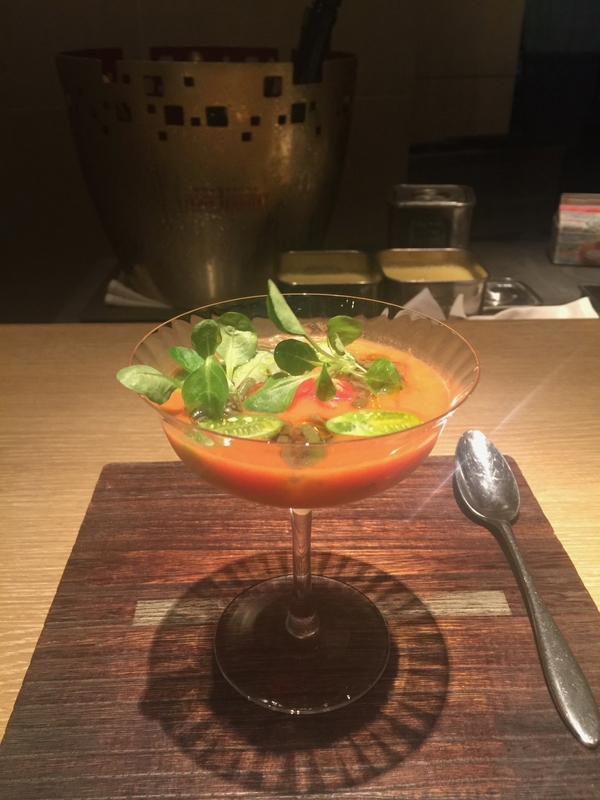 The gazpacho, which was seasoned with a touch of garlic and garnished with jyunsai, or water shield, which is an aquatic herb – was light and fresh-tasting. The bright colors and fresh ingredients make this watermelon gazpacho a perfect summer dish. 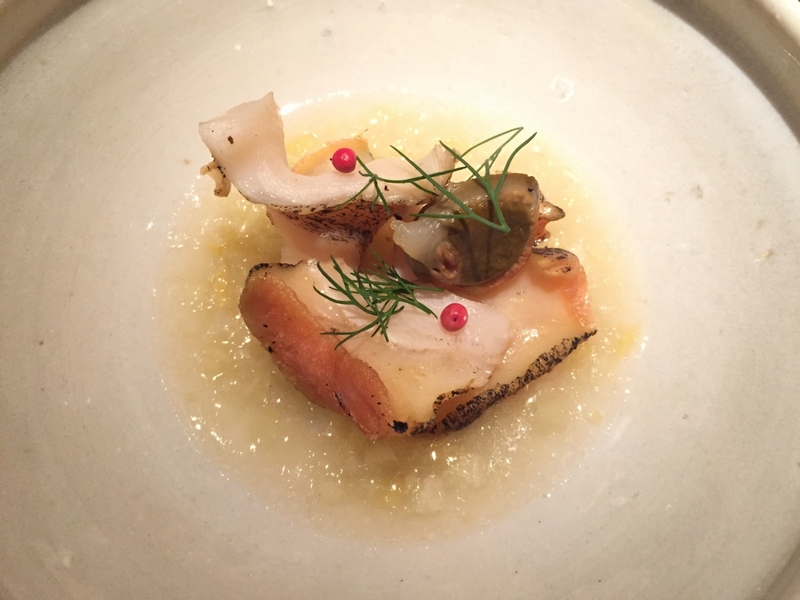 As befits a chef who spent his formative years cooking fish, the next six courses featured a variety of seafood. Tsubugai, or whelk, in a slightly sweet lemon sauce, garnished with fennel, red pepper and dill. These dishes, with their rich though delicate sauces and European-style flavors, tasted more French than Japanese. 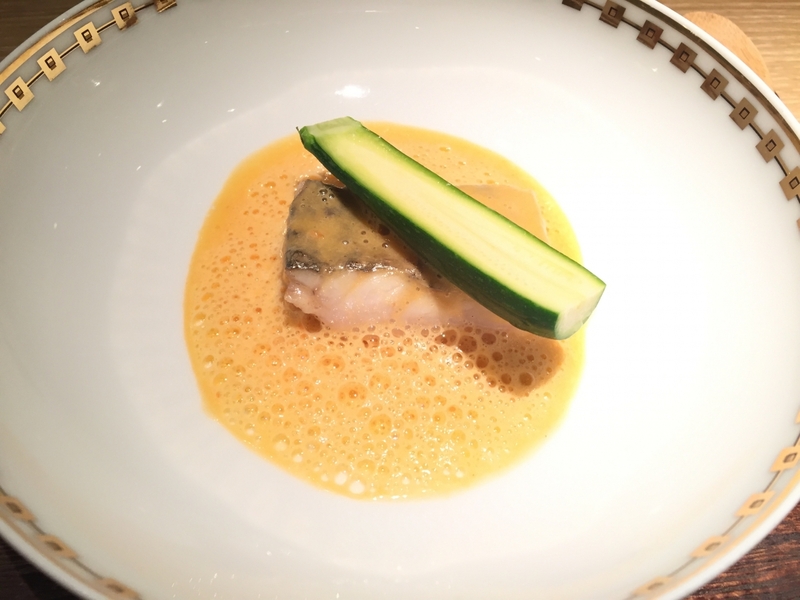 Tachiuo, or largehead hairtail, in a paprika sauce with a slice of zucchini. Isaki, or a kind of grunt, and salted sea cucumber guts. 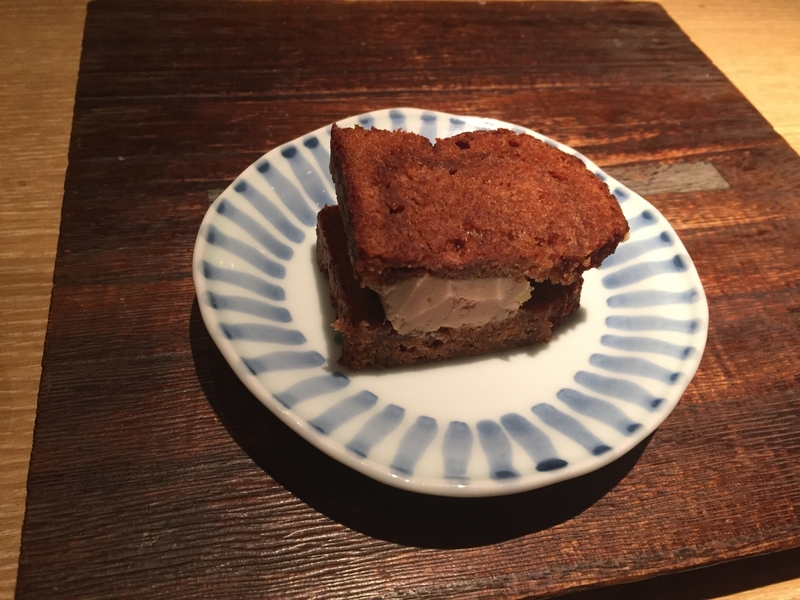 The parade of fish courses ended with a complete surprise – a slab of foie gras sandwiched between sweet and spicy bread. The foie gras sandwich looks deceptively plain but is a surprising treat. I often find foie gras rather heavy, but coming after a wide range of beautifully prepared fish dishes, the combination of the rich and smooth liver with the sweet and spicy bread was inspired. The meat course was grilled beef ichibo, or aitch-bone, with a flavorsome tomato sauce. The tender but fatty ichibo was excellent but coming toward the end of a rather filing meal, I found it a bit overwhelming. 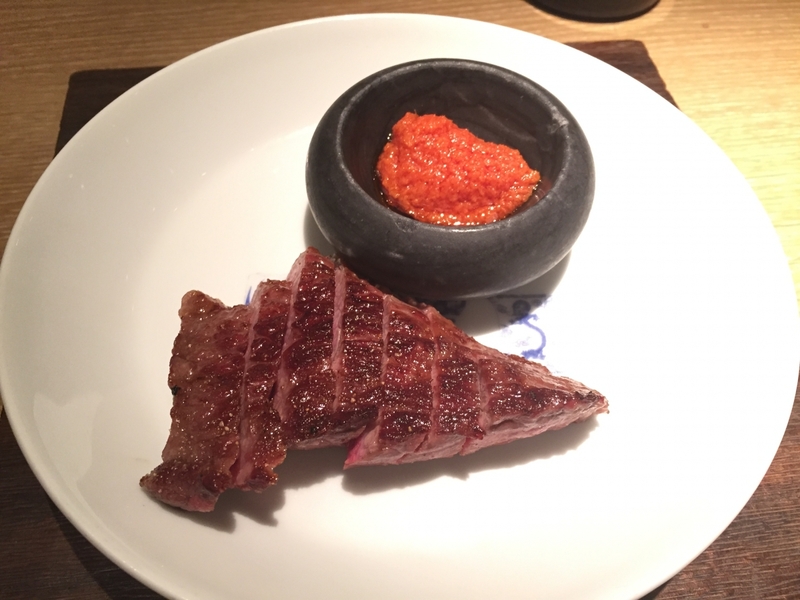 The grilled beef was crunchy and came with a tomato, sesame and ginger sauce. Not surprisingly, we took home most of the rice course – white rice seasoned with mentaiko, or spicy cod roe, and cooked in an impressive donabe, or heavy earthenware pot. 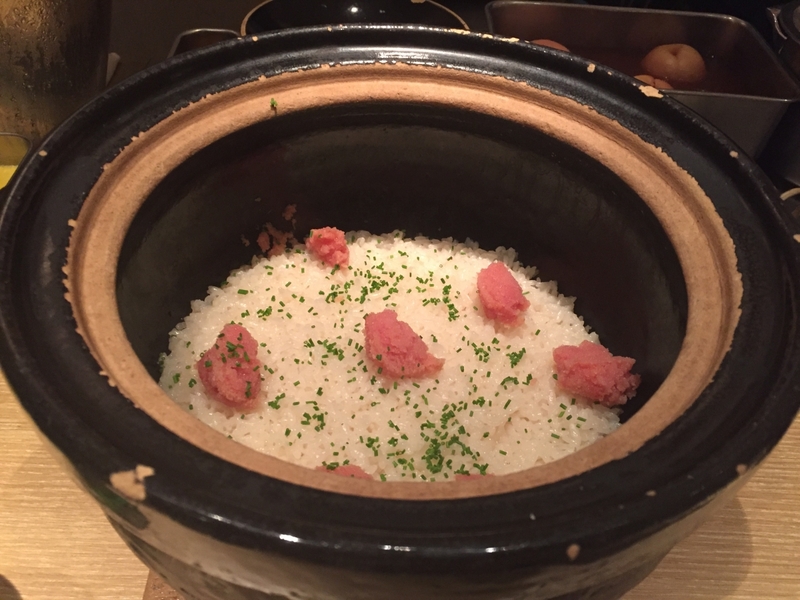 Rice cooked in a donabe is fluffy and glutinous at the same time. Every dish was expertly prepared with fresh seasonal ingredients, making for a high quality meal. 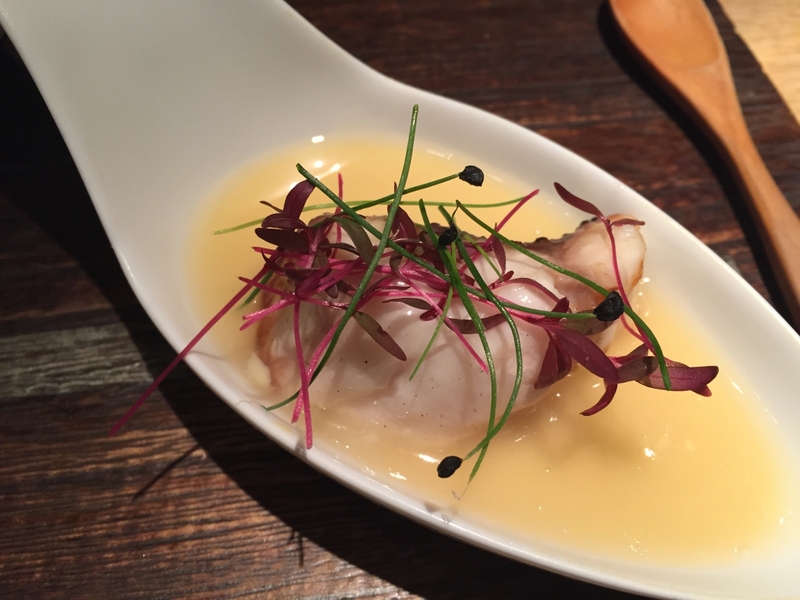 Narukami is bound to please those who love seafood but can also appreciate meat dishes — though is not really for devoted carnivores. My only (slight) disappointment was that we were unable to communicate more easily with the chef, who was focused on cooking for his guests and exchanging pleasantries with the two other groups who were dining there and who were clearly regulars. 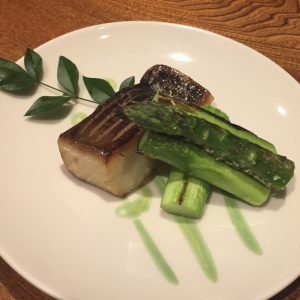 Nevertheless, Narukami serves high quality and innovative dishes and is definitely worth a visit — not least to try his heavenly foie gras sandwich.